The head of the company that is planning to build a $1.3 billion aluminum plant in eastern Kentucky claims the state’s new right-to-work law will help it undercut competitors. 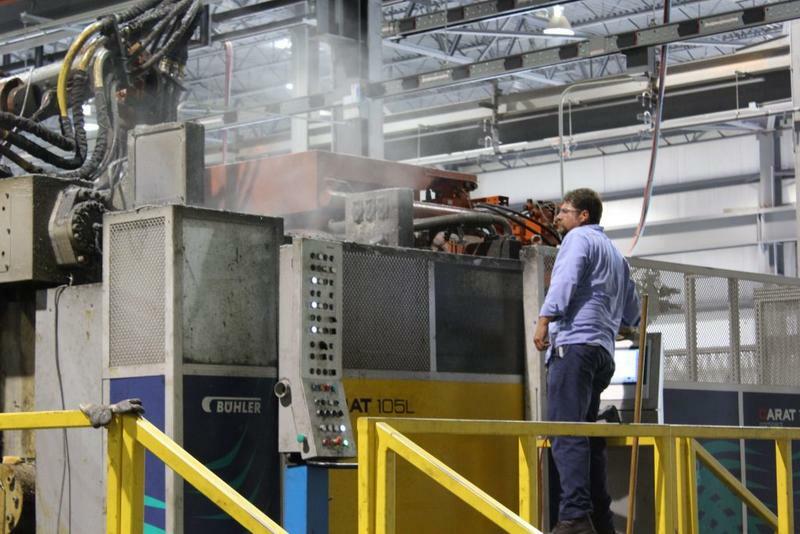 Braidy Industries CEO Craig Bouchard said one of the company’s advantages is that it won’t require workers to join a union — unlike some other competitors in the aluminum business. A Kentucky economist said the state isn’t seeing the kind of employment growth it needs to make up for recession-era job losses. The national unemployment rate fell one-tenth of a percentage point in May compared to April. Jason Bailey, with the Kentucky Center for Economic Policy, said rural parts of the commonwealth are still struggling. He cited a loss in coal mining and manufacturing jobs over several years. Bailey said the celebration of small improvements misrepresents the reality of Kentucky’s employment picture. Gov. 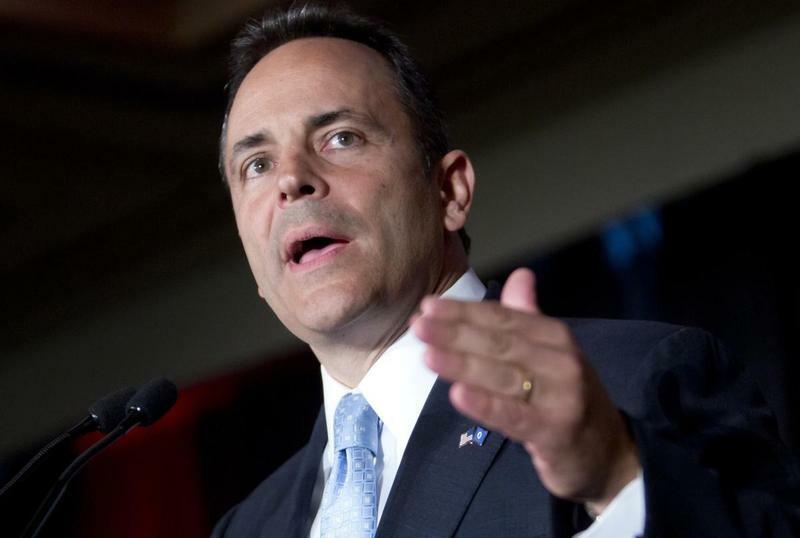 Matt Bevin announced Friday that companies have promised to invest $5.8 billion in Kentucky so far this year, breaking a previous yearly record of $5.1 billion. 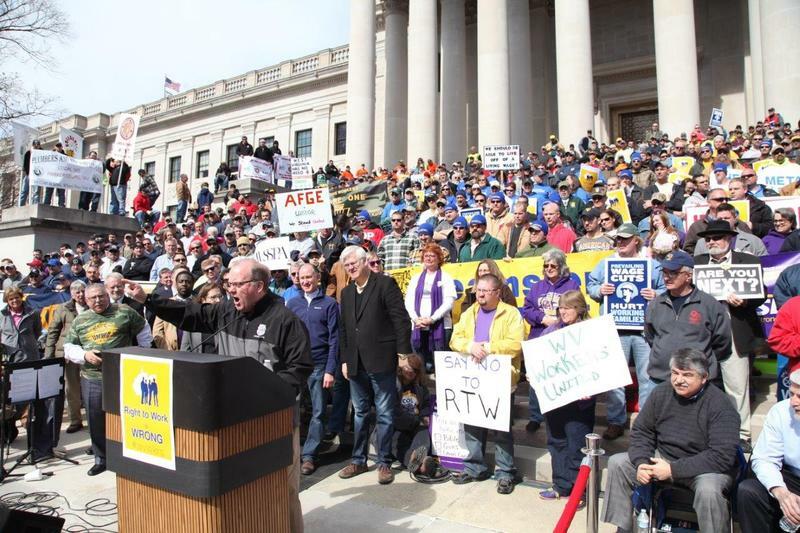 The governor credited the state’s “right-to-work” law for the commitments. The policy makes union dues optional, and supporters say it makes the state more attractive to companies looking to move to or relocate in the state. 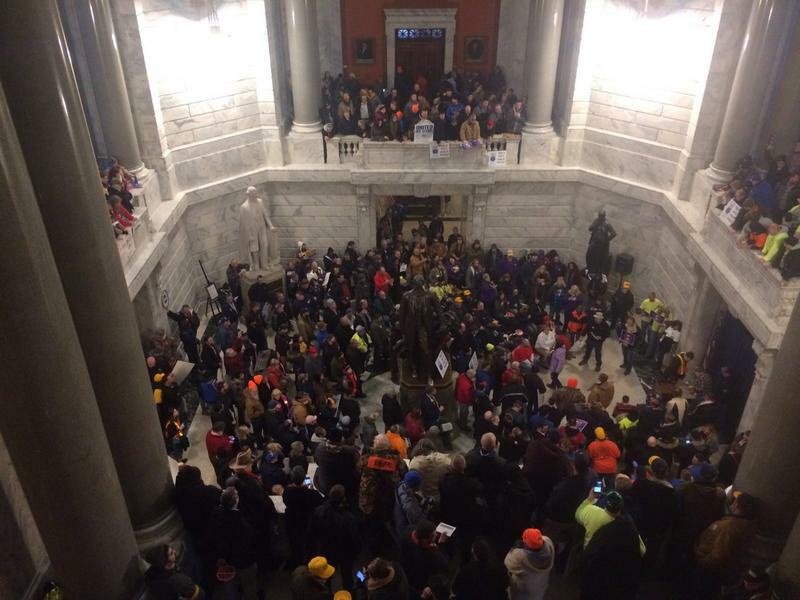 Two union groups have filed a lawsuit to block Kentucky’s new “right-to-work” law. That law prohibits unions from being able to collect what are known as “fair share fees”. Those fees are imposed on non-union employees in exchange for the benefits of being in a unionized workplace. In January, Kentucky became the 27th state to pass such a measure, which supporters say makes the state more competitive when trying to get companies to move to or expand in Kentucky. Kentucky AFL-CIO president Bill Londrigan said the new law is part of a political strategy to stifle union voices. Kentucky’s Attorney General Andy Beshear said the state’s new right-to-work law is an example of misplaced priorities. In a recent visit to Western Kentucky University, he said the law won’t lead to the job creation its supporters are seeking. Supporters of right-to-work say it will help Kentucky compete against other states for new jobs. Right to work allows employees to work in unionized facilities without paying union dues. Unions are still legally responsible for collectively bargaining for all employees, and defending all employees in the event of a grievance. Beshear believes right-to-work is bad policy. “I wanted to be Attorney General to better protect families, and all right-to-work does is pay our working families less,” Beshear said. Beshear pointed out Kentucky won Site Selection magazine’s “Governor’s Cup” award for its number of capital investment projects in both 2014 and 2015. The Attorney General said that shows the state was capable of competing for jobs and industry without right-to-work. The Ohio Valley region once helped give rise to the labor movement. Now it’s shifting toward what’s known as right to work. West Virginia and Kentucky have passed right to work laws, and Ohio is considering a similar bill. One of the big selling points for right to work proponents is that the law can attract new businesses. Opponents argue that potential comes at too high a cost to workers. Mike Mullis is a site selection consultant who has spent 25 years helping global corporations, such as Toyota, pick the places where they will build major projects. He said some companies – particularly in manufacturing – will perk up when they hear the words “right to work.” However, that doesn’t mean businesses will come flocking to a state. Hear Becca's story about right-to-work in The Ohio Valley region. Kentucky Is The 27th ‘Right-To-Work’ State. Now What? Workers at unionized companies in Kentucky will be able to stop paying union dues or fees once contracts negotiated between their employers and unions expire. The so-called “right-to-work” policy signed into law by Gov. Matt Bevin last weekend forbids payment of dues as a condition to get or keep a job in Kentucky, though current collective bargaining agreements between unions and companies are still enforceable until they expire. Bill Londrigan, president of Kentucky’s AFL-CIO, said the new law will have a negative impact on labor organizations and companies once some workers decide they don’t want to pay into the union anymore. The Kentucky legislature has awarded final passage to a handful of bills opposed by labor unions, most notably “right-to-work” legislation that would ban unionized companies from requiring employees to pay dues. Union activists swarmed the Capitol as lawmakers altered the legislative calendar to meet on Saturday to approve Republican priorities at the end of the legislative session’s first week. Rep. Stan Lee, a Republican from Lexington, said despite protests, voters showed they wanted conservative legislation when they voted to send GOP supermajorities to both legislative chambers. The Kentucky General Assembly is on track to approve legislation to make Kentucky a so-called right-to-work state by Saturday night. For Republicans, this is the culmination of years of championing the issue. The bill passed the House Thursday, and assuming it passes the GOP-controlled Senate and is signed into law by Republican Gov. Matt Bevin, Kentucky will become the 27th so-called right-to-work state in the nation. House Republicans have advanced a bill that would ban mandatory labor union membership in Kentucky. A House committee approved the bill Wednesday. Republican House Speaker Jeff Hoover said lawmakers plan to approve the bill this week. 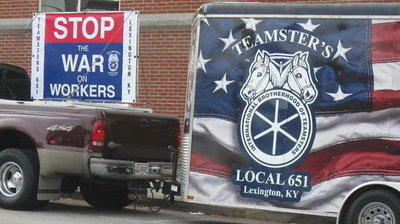 Hart County could soon join several other Kentucky counties in passing a local law banning mandatory union membership. The Bowling Green Daily News reports Magistrate Gary Gardner says the court unanimously approved the first reading of the so-called "right-to-work" ordinance Dec. 1. 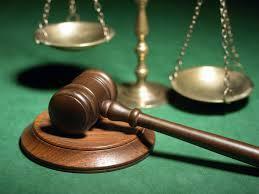 The fiscal court will vote on a second reading Dec. 15. A court of appeals ruling last week that cleared the way for right-to-work legislation in Kentucky may not be the final word. The News-Enterprise in Elizabethtown reports the Louisville law firm representing nine unions against Hardin County plans to petition to re-hear the case. Right to work laws lift mandatory union contributions for new hires. Unions say the law weakens them, allowing workers to get union benefits without having to pay for them. Hardin County was one of 12 Kentucky counties that passed the legislation last year. The unions say only states, not counties, have the authority to pass right to work laws. Their lawyer says the three-judge court of appeals misapplied two Supreme Court decisions and took them out of context. They plan to file a petition within the required 21 days for the full 15 member appeals court to re-hear the case. 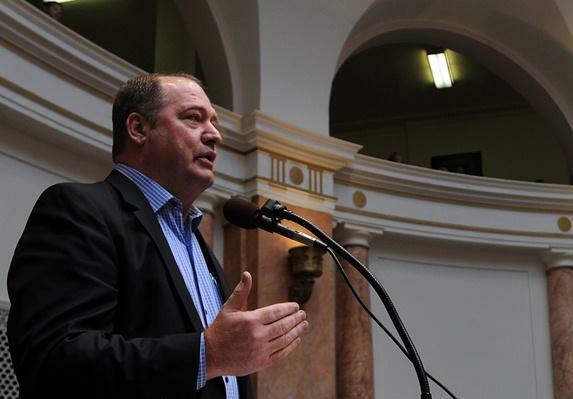 The top Kentucky House Republican says GOP-backed legislation to ban labor unions from requiring employees to join them is unlikely to get a House vote this year. House GOP Leader Jeff Hoover said Friday that right-to-work legislation isn't among the top priorities for House Republicans. Senate Republicans have identified it as one of their main priorities. Hoover's announcement comes two days after a U.S. District Judge in Kentucky ruled that local right-to-work ordinances passed by 12 counties in the commonwealth are illegal. House Speaker Greg Stumbo says right-to-work legislation doesn't have "a snowball's chance" of passing the Democratic-controlled House. But House Republicans have been using procedural motions to try to force House votes on some bills. Hoover is downplaying the chances of such maneuvering for the right-to-work bill. Hoover says he plans to keep pushing for an eventual House vote on legislation to put Planned Parenthood clinics last in line for family planning funds. The leader of the Kentucky AFL-CIO says labor groups are ready to fight future efforts to pass what supporters call right-to-work laws. Union groups scored a major legal victory Wednesday when U.S. District Judge David Hale ruled that county governments can’t enact the rules on a local level. Right-to-work laws prohibit mandatory union membership as a condition of employment. 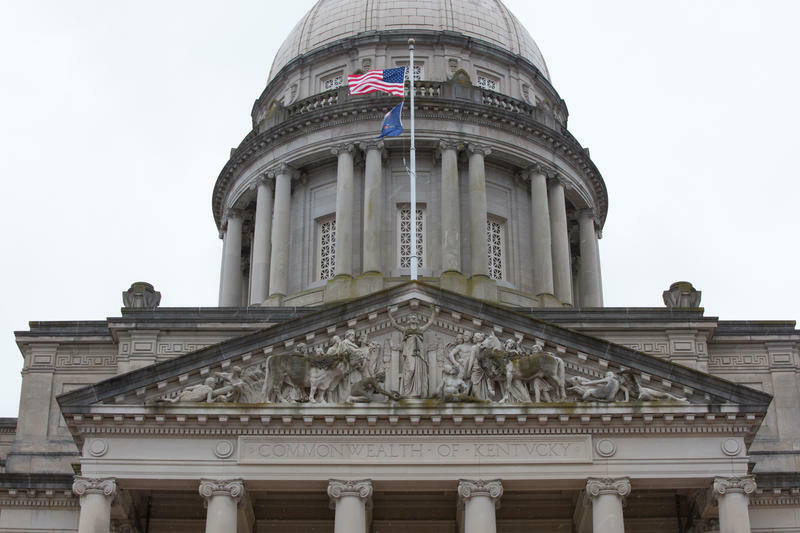 Twelve Kentucky counties enacted local right-to-work ordinances last year after efforts to pass a statewide version failed in the legislature. Hardin County was one of the dozen that did so, and labor unions filed a suit against the county challenging the legality of the move. Kentucky AFL-CIO executive director Bill Londrigan says unions know the legal battle isn’t over, despite this week’s court victory. “We fully expect the defendants to file an appeal on this case, and with the strong, strong ruling by the U.S. District Judge David Hale, we feel that they’re going to be unsuccessful at that level, as well,” Londrigan said. Supporters of right-to-work say the laws make states more attractive to businesses. 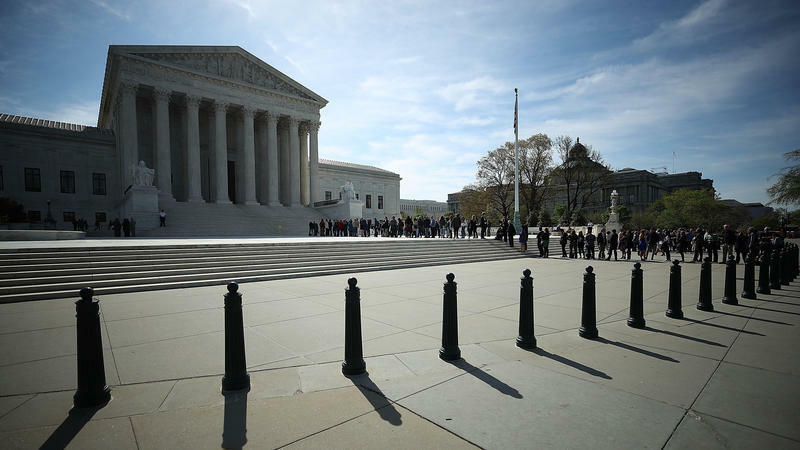 This week’s ruling against county right-to-work efforts could mean supporters redouble their efforts to get a statewide law passed. Londrigan says unions are ready for the challenge.